Boiler Insurance: Why Do We Parents Need It? 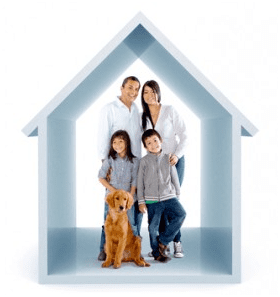 Home Household Boiler Insurance: Why Do We Parents Need It? It’s understandable, as a family, to watch every penny that we spend and cut back on the ‘luxuries’ that we don’t think we need. In an age where families have to scrimp and save to get by, frivolous buys are a thing of the past – we think more about the essentials and care less about the extras that once were commonplace. Takeaway meals, holidays and unnecessary insurance policies are often questioned – do we really need them? While takeaways and family holidays overseas could probably take a back seat, it’s important that you weigh up the pros and cons of an insurance policy that you may deem ‘luxury’. Is it? What happens when things go wrong and you don’t have the policy to protect you? Being landed with a hefty bill can drastically affect family life when you’re living on a shoestring – is that really what you prefer over spending a few pounds a month on an insurance policy? This is the issue that you need to consider when thinking about boiler insurance. Whether you have one of the British Gas Baxi boilers or a bog standard conventional one, they can be ridiculously expensive to replace if it breaks and you and your family could be left without hot water and central heating. With various cover plans from British Gas starting at just £4 a month, the cover won’t be the end of the world but can make a huge difference if/when you need it. There are plenty of good reasons why a family would need to invest in boiler cover – it’s up to you to weigh up the pros and cons to make the best decision for you. English weather isn’t exactly the most predictable and you never know when the next cold bout will arrive. Winter can be bitterly cold and boilers can be overworked to the point of breakdown. You may think that your home insurance would cover such repairs but in some cases, it doesn’t. Check the policy and if necessary, consider extra boiler cover. Can you imagine having no hot water at all? No bath, no shower and radiators that are useless without a working boiler? That’s what you’d have to face with a kaput boiler, which is even worse for families with young kids. Boiler cover doesn’t have to cost the Earth – starting at £4 a month, you could skip the pint at the pub or the latest girly mag in favour of affording this essential cover, that, until you need it, you won’t realise how important it actually is.